Note: Sometimes books hit my reading list as much because teens are reading them as that they are YA. This is one of those books. I would guess that it is actually mothers that are reading the book and their daughters are curious about what Mom is reading. As I am neither of the above, I have no idea what that makes me! Susan is dismayed enough to learn that her 17 year-old daughter is pregnant. It doesn't reflect well on her as a mother or as the principal of the high school. It also hits close to home because she herself was a teen mother. The far worse news appears soon enough, though, when two of her daughter's friends reveal that they too are pregnant. This can hardly be a coincidence. As Susan attempts to control the rumors and protect her family's privacy, the issue quickly escalates into a battle between the town's traditionalists who have found the excuse that they have been looking for to dislodge Susan from her job, and Susan's supporters who are determined to keep the focus on the issues at hand. The novel is a good read and the characters are well-developed. 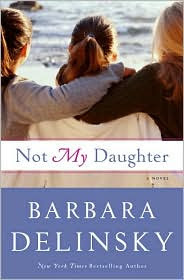 If you are looking for a book that describes what a mother would go through in this circumstance, I would think this is a good book for that. Delinsky does an excellent job of balancing Susan's disapproval for her daughter's decisions with her need to support the girl. The relationships in this story are drawn maturely and respectfully. Only a few of the bad guys fall into flat stereotypes. If I have a complaint, it is really for what the book is not. I regret that the story never explored the girls' point of view. That wasn't really the point of the story so it is hardly a valid criticism, but it is a lack I felt profoundly. The decision of the daughter and her friends to form a pregnancy pact would have been interesting to explore (the motives are hinted at but hardly developed). Also, it is obvious that the girls' perspective about their decision to have babies changes throughout the story. That would have been interesting to develop more fully.